Red Dawn hits theaters in 2012 once again with this remake, and you can see the first trailer here today with a trailer review! 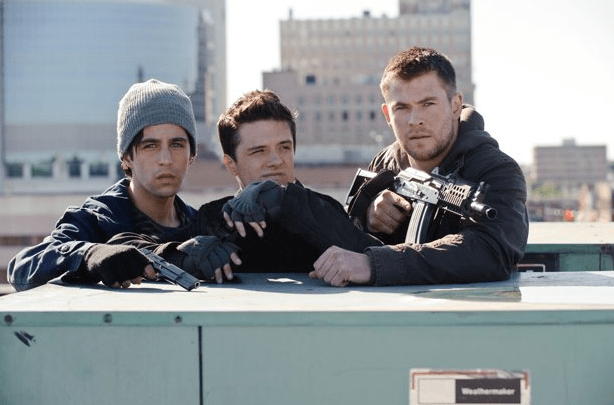 Beyond The Trailer host Grace Randolph gives you her initial thoughts on this Red Dawn remake starring Chris Hemsworth, Josh Hutcherson, Isabel Lucas, Connor Cruise, and Adrianne Palicki! Can it live up to the 1984 version? Plus with Beyond The Trailer’s Trailer Plus, you’ll get links to movie news about Thor 2 and The Hunger Games 2! 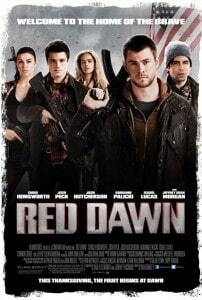 Enjoy this official HD trailer and trailer review for the Red Dawn remake, hitting theaters in November 21, 2012. Looking for Discount Movie Tickets in New York? Check out our AMC Movie Passes where you can save up to 40% off on tickets to see AMC Theaters Movies.